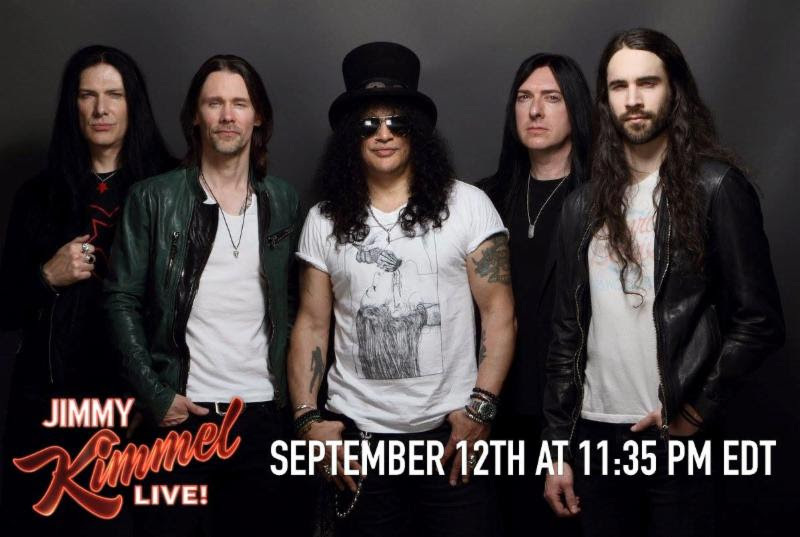 Tuesday, September 11–Los Angeles, CA: SLASH and his band, SLASH FT. MYLES KENNEDY AND THE CONSPIRATORS will perform their new single “Driving Rain” this Wednesday, September 12 on“Jimmy Kimmel Live!” Tune-in tomorrow night (Sept. 12) to watch the episode airing at 11:35PM (ET/PT)/10:35PM (CT) on ABC TV. The massive hooks and anthemic, singalong choruses of “Driving Rain”–which Rolling Stonedescribed as delivering “bluesy riffs and solos throughout the blistering track” (7/25/18) and Revolver hailed as “smoldering” (7/25/18)–make it a standout on the group’s forthcoming new albumLIVING THE DREAM. The song is #11 at Active Rock this week and climbing and marks the highest charting radio debut of SLASH’s solo career so far. LIVING THE DREAM–due out September 21 via SLASH’s Snakepit Records (a partnership w/Roadrunner Records)–is the new full-length offering from the group which, in addition to SLASH and singer MYLES KENNEDY, also includes bassist TODD KERNS, drummer BRENT FITZ and, making his recorded debut after several years of live work with The Conspirators, rhythm guitarist FRANK SIDORIS. 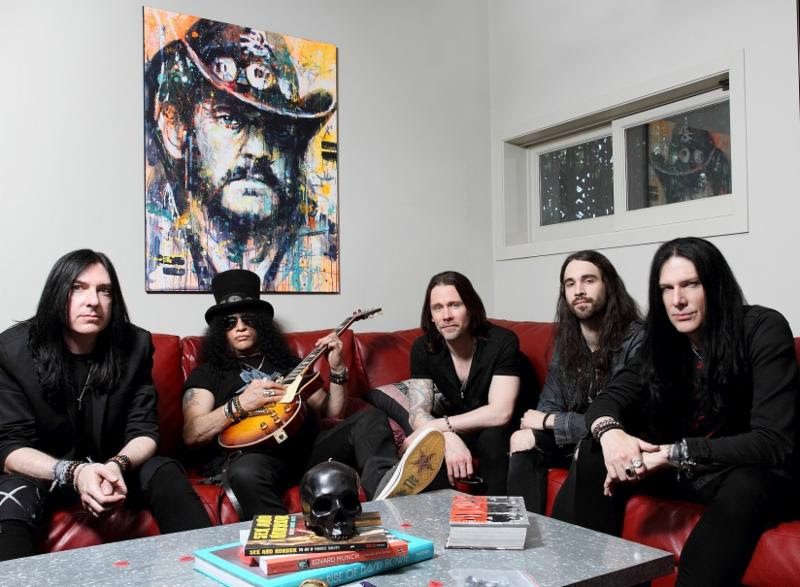 SLASH and his band re-teamed with producer Michael “Elvis” Baskette (Alter Bridge, Iggy Pop, Incubus) for their third album resulting in the band’s strongest collective statement to date followingWorld on Fire and 2012’s Apocalyptic Love. From the barnstorming, high-octane riffery of opener“Call of the Wild” to the wah-drenched funk rock of “Read Between the Lines,” the haunting majesty of “Lost Inside the Girl” to the swaggering deep-in-the-pocket Seventies grooves of “Serve You Right,” to the stately, quasi-classical melodic themes of “The Great Pretender,” LIVING THE DREAM packs a compendium of sounds and styles into 12 tightly arranged and sharply executed tracks, all of it shot through with SLASH’s trademark electrifying and dynamic riffing and high-wire, lyrical solos. 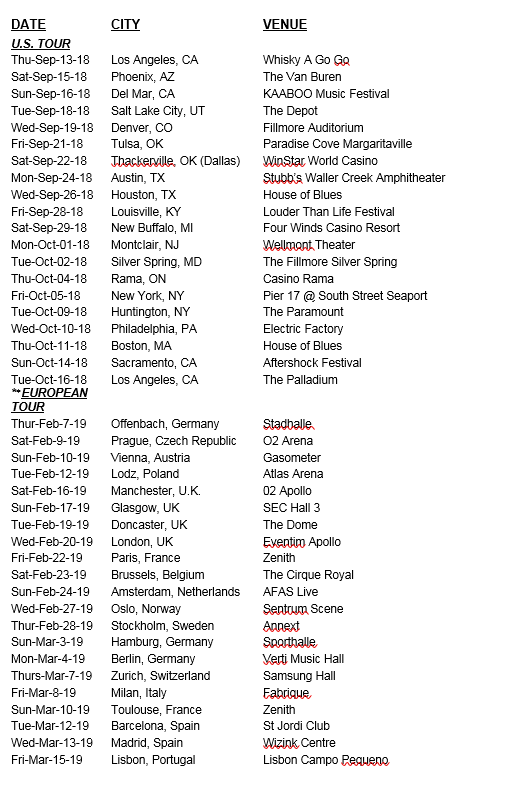 store https://shop.roadrunnerrecords.co.uk/artists/slash.html by 2pm on Thursday, September 13 2018 and get access to an early pre-sale for tickets to these UK shows which starts Friday 14th September at 9am. Tickets are limited and allocated on a first come, first served basis, max 2 tickets per person. LIVING THE DREAM cover art created by renowned artist Ron English. SLASH–the iconic, GRAMMY-winning, American rock guitarist, songwriter and film producer–has amassed album sales of over 100 million copies, garnered a GRAMMY Award and seven GRAMMY nominations and was inducted into the Rock and Roll Hall of Fame. SLASH landed on the top of the charts with his first solo album, Slash (2010) which featured Ozzy Osbourne, Fergie, Myles Kennedy and more. 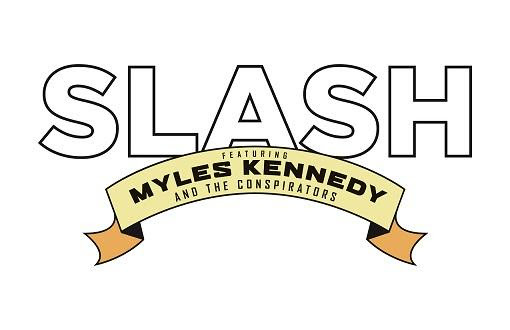 Shortly after, he formed his current band SLASH FT. MYLES KENNEDY & THE CONSPIRATORS–which features MYLES KENNEDY (lead vocals), BRENT FITZ (drums), TODD KERNS (bass/vocals) and FRANK SIDORIS (rhythm guitar)–who’ve been touring worldwide and making music for over four years. 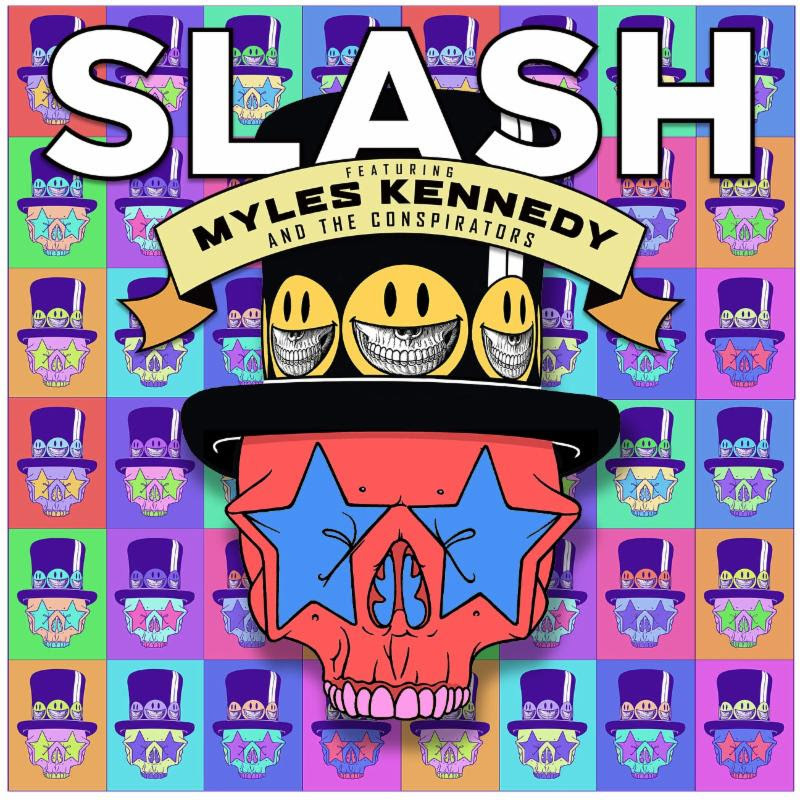 SLASH FT. MYLES KENNEDY & THE CONSPIRATORS released the critically acclaimed Apocalyptic Love (2012) which stormed the Billboard Top 200 Albums Chart debuting at #4 as the top rock album. Apocalyptic Love has the added distinction of spawningSLASH’s first-ever #1 rock radio solo hits: “You’re A Lie” and “Standing In The Sun.” SLASHreleased Nothing Left To Fear (2013) the first-ever motion picture he co-produced from SLASHfiction, his film/TV production company specializing in the horror genre. He is currently working on a new film project. SLASH FT. MYLES KENNEDY & THE CONSPIRATORS unleashed their second album World On Fire to worldwide praise garnering SLASH some of the best critical acclaim of his career. SLASH’s third straight solo album to debut in the Top Ten, World On Fire achieved over 12, Top Ten chart debuts around the world. The album’s title track, first single “World On Fire” ascended to #1 at U.S. Rock Radio. In 2016, Guns N’ Roses re-united and SLASH joined Axl Rose and Duff McKagan for the ongoing “Not In This Lifetime Tour” which Billboard now ranks as the fourth-highest grossing tour of all time.